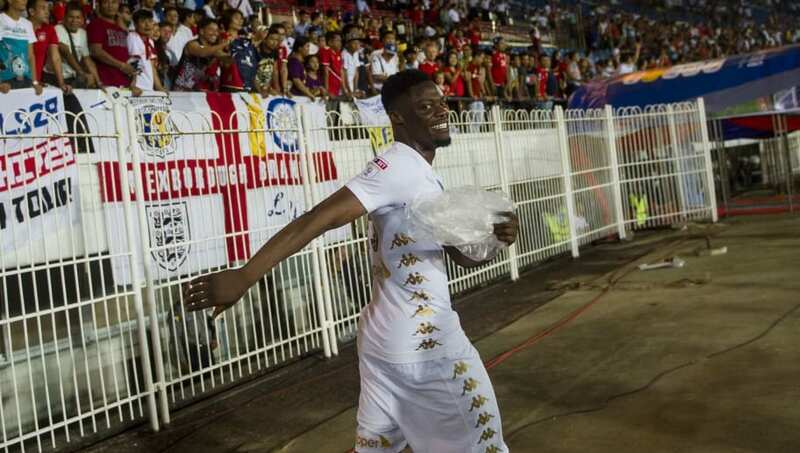 ​Leeds United striker Caleb Ekuban looks set to join Trabzonspor on a permanent basis in the summer, with the player's agent saying the deal is certain to happen. The 25-year-old joined Leeds from Chievo in 2017, but after a poor debut season in England, he wasn't fancied by the incoming Marcelo Bielsa, who opted to loan him out to the Turkish side. He has since scored eight goals in 30 appearances, however, and with a fee in the region of £1m touted to secure his permanent signature, the Super Lig side look as if they will move to extend his stay beyond the summer. “He is doing very well at Trabzonspor," the player's agent, Graziano Battinsti, told ​Tuttomercatoweb. "He has a great chance of being able to play the African Cup, he has an important potential and is demonstrating it. The Ghanaian certainly looks as if he will be surplus to requirements at ​Leeds, who have made strides towards becoming a ​Premier League side under Bielsa. Their 1-0 victory over Sheffield Wednesday at the weekend, with Sheffield United dropping points, means that they now have a three-point cushion in second place, and promotion is in their hands ahead of their last four matches.